David W. Chapman, dean of Samford’s Howard College of Arts and Sciences for the past 15 years, will be the speaker at the University’s fall commencement Saturday, Dec. 12. About 240 seniors will graduate at the program in Hanna Center at 10 a.m. Commencement will be available via live stream. Samford’s Beeson Divinity School will hold its fall commencement and service of consecration Wednesday, Dec. 2, at 11 a.m. in Hodges Chapel. William J. Carl III, pastor of Independent Presbyterian Church, will speak. Also during the commencement weekend, Samford’s Ida V. Moffett School of Nursing will hold its pinning ceremony Friday, Dec. 11, at 10 a.m. at Shades Mountain Baptist Church. The Graduating Senior Art Show will be Monday through Saturday, Dec. 7–12, in the Samford Art Gallery, with a reception following Saturday’s commencement. Chapman will step down as dean at the end of the current academic year, but will continue to teach as professor of English and will have a role as director of the John Howard Scholars following a sabbatical during the spring of 2016. Provost and vice president for academic affairs Michael Hardin will serve as interim dean during the spring. He is leading the committee conducting a national search for the new dean. Chapman’s tenure as dean was marked by the opening of Propst Hall, the renovation of Russell Hall and several other capital projects. He worked extensively on the development of new approaches to teaching such as writing-across-the-curriculum and problem-based learning, and on community outreach programs such as the Samford-in-Mission program, the Old Howard 100 Bike Ride and the Davis Lecture. 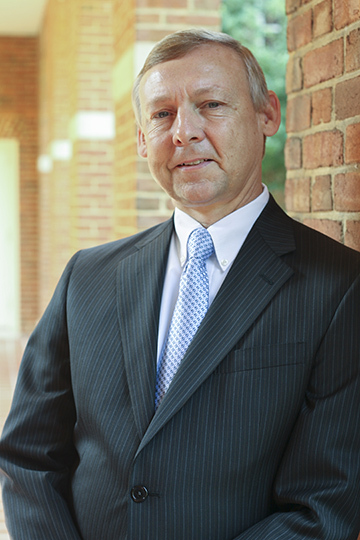 Chapman joined the Samford faculty in 1990. He holds the B.A. degree from the University of Oklahoma, M.A. from the University of Tulsa and Ph.D. from Texas Christian University.